Producertech are happy to present this great, new course from label Singomakers entitled Complete Digital Music Production Tutorial. This includes over 5 hours of secrets and tips for mixing, mastering, sound design, creating a track from scratch, getting ideas and inspiration and much more. Here you will discover many tricks for how to make your sound fat and dynamic, present and powerful but super-wide at the same time as loud, clear, diverse and professional. Suitable for a huge range of electronic music genres from House, Progressive to Techno, Diablo House, EDM, Trap and many more. In these videos, Singomakers use plugins from Fabfilter, Waves, iZotope and Logic Pro (the DAW in use) but all of the settings and tricks can be applied in any DAW to any other plugins. The course consists of 59 Episodes, over 5 hours of tutorials in total, including chapters on Arranging, Mixing, Mastering, Sound Design and Ideas & Inspiration. All chapters are available to purchase in Full and ready to stream instantly directly from the Producertech site 24/7. Don’t miss this ultimate chance to improve your electronic music production skills and step to the NEXT LEVEL! Shows how to construct a drum loop from samples, including all sequencing and audio editing techniques involved. Shows how to work out the main chord progression for the track and how to convert it into one with a more dynamic rhythm. Teaches techniques for creating a main melody to go with the harmony and groove laid down so far. Then makes a basic lead patch with Serum to play it. Also, shows how to add a reverb layer to give the main melody more character and presence. Creates the bassline and bass patch to play it. Techniques for adding a vocal line from a larger sample, including sample chopping, sequencing, processing and resampling. Some techniques for improving the mix, including editing of MIDI notes and effects processing of parts. Then, using sidechains to make the mix cleaner and more dynamic. How to make a quality breakdown, including all the editing and production involved in creating a classic EDM snare roll, and how to work all the main parts into an exciting build up. How to make an impressive drop and add variation to keep things interesting. Some extra advice on creating drums and melodies. Getting the bass sounds right in the mix, then working with the drums’ levels, frequencies and more. All the main considerations for mixing the melodic parts, including the piano, main lead and vocal line. Some advice for improving the transients on sounds, using the drums fill as an example. How to improve the mix using various spacial and modulation effects, including reverbs, chorus and delays. Advice on adding saturation to parts and then EQing the mix as a whole. Shows how to compress the kick to make it nice and fat. Final adjustments to the arrangement and master bus. An introduction to the main processing on the master bus, including the effects used and advice on how to use them. A guide to the main mastering stages, with advice on considerations each step of the way. How to make the mix as loud as possible and make sure the bottom end is all good. Some additional tips for getting extra width and improving the lows and highs in the mix. Some further examples of how to build various melodic parts, including one lesson using a groove as a basis and another using a music loop sample. Some dedicated lessons on designing, sequencing and mixing a chopped vocal accompaniment. Some lessons showing how to create your own claps, with techniques including sampling layering, processing and various clever audio editing methods. Some lessons showing how to create your own kicks, predominantly using Kick designer plugins, but with advice on envelope shaping and using additional effects to increase bass. 3 Lessons showing how to make a mainroom lead, with initial sound design, then fattening up using extra layers and effects processing. How to make a classic pluck lead, showing multilayering and effects processing. A quick tip on reversing reverb to create a custom made FX buildup for a part in a track. How to create percussion parts using a combination of other samples. How to make a Big Pryda Snare. Some tips for making a simple bassline. 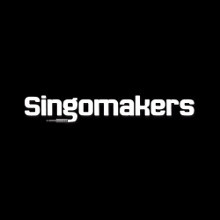 Singomakers are a professional sound design label, bringing you only the freshest sounds in the industry in a huge variety of genres and formats ready for your DAW. The team is made up of producers and engineers from across the globe bringing you only the very best up to date sounds and samples of professional quality.